Good morning and welcome to Tuesday Blog Share. This month, we’re going to be featuring fantasy books, both mine and those of other talented Solstice Publishing authors. 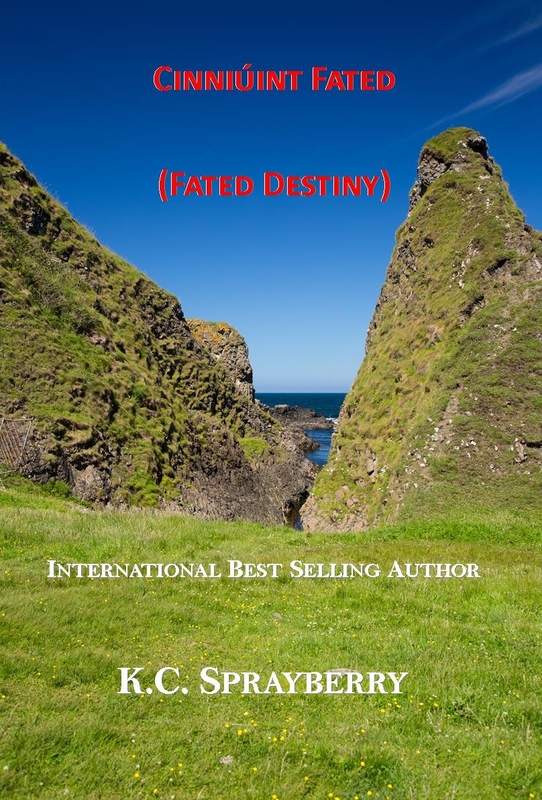 Today’s tale is one for teens sure to entertain… Cinniúint Fated Fated Destiny. Will a prophecy determine their fate? Breandan Clooney lives the life of half leprechaun and half human. Whispers of the night he came into the world follow him wherever he might travel in beautiful Eire. After an incident where he is forced to kill or be killed and lose his pot of gold, he escapes the beautiful land he’s always known for a penal colony far off in space. Charani Borrell has always heard of the fate thrust upon her by an ancient legend. Daughter of Romany kings, she has been unwillingly betrothed to Gaeril Stefan, a man she despises with her whole heart. The day Gaeril kills an English lord seals her fate and she’s taken away from her family, to serve out the punishment given a group of thievin’ Romany that Gaeril leads on a planet far from where she’s grown up. Breandan falls for the breathtaking Charani; she can’t stop thinking about him. Despite knowing their romance is doomed due to their circumstances, they can’t stay away from each other. Will they escape the destiny thrust upon them? Can Breandan and Charani find true love in their desperate circumstances? Whispers grew after that night of the babe’s birth, of what had transpired as his mam brought him into the cold, cruel world. A wild storm had rocked the land. Some claimed the banshee herself refused to come out to call those to their death who dared to leave their homes in a desperate attempt to find better shelter than the crofter’s cottages that had roofs consisting of not much more than thatched hay. Throughout this horrendous gale, the wail of a babe was heard upon the wind, causing most to fear the devil himself had snatched away a child to take him to the underworld.